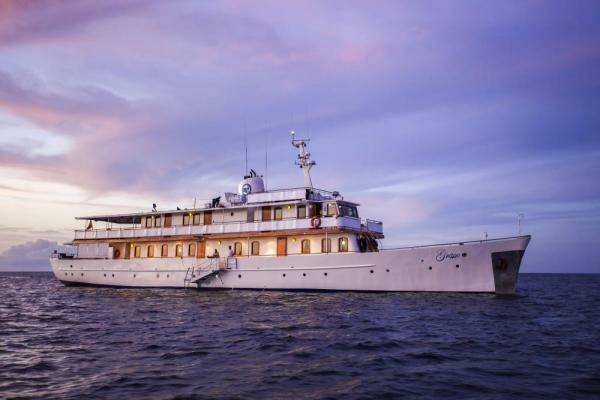 M/Y Grace has journeyed the waters of this world under many names but has been rechristened with a name that takes her years back into her history; to the very best of her times. Named after her late owner, Her Serene Highness Princess Grace of Monaco, the name is a representation of her elegance, beauty and prestige. 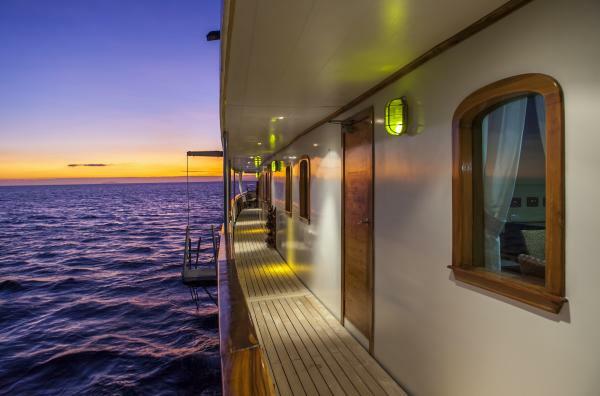 Grace is the ideal yacht for the traveler who seeks a true explorer experience, complemented with excellent service, superb accommodations and fine dining. 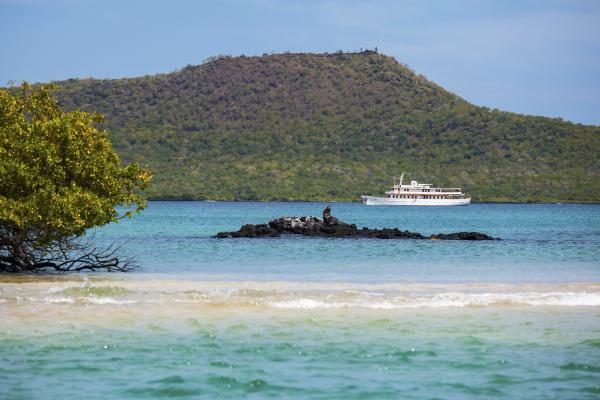 All who travel aboard this yacht will be part of a unique mission: to bring to life the natural living legacy of the islands through an experience unlike any other in Galapagos. 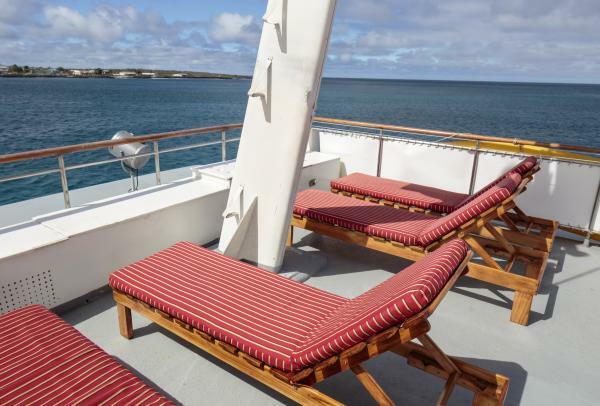 With one naturalist guide for every 9 guests on a full ship, all who travel on board this yacht will be part of a mission to bring to life the natural living legacy of the islands. 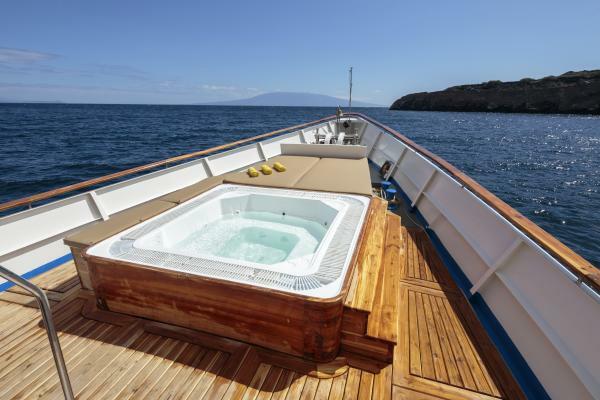 Grace features a jacuzzi, sea kayaks, snorkeling gear and wetsuits onboard. 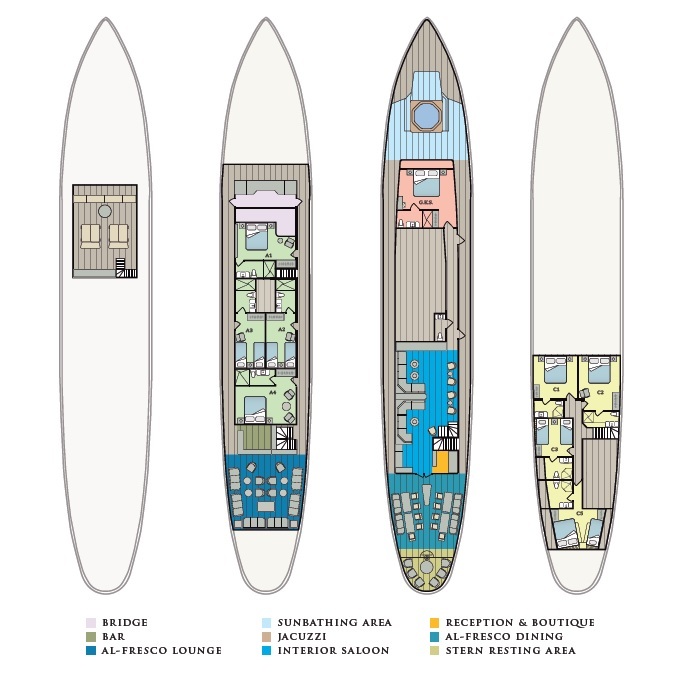 The yacht offers ample outside resting areas as well as inside & al-fresco dining. Wide variety of books available in the library as well as as various board games and movies for children. 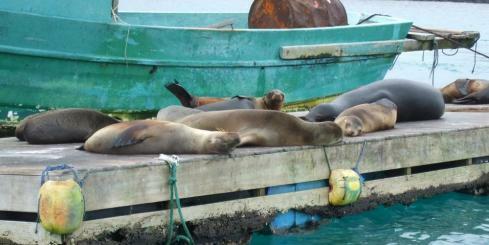 Two dives are included for certified divers. 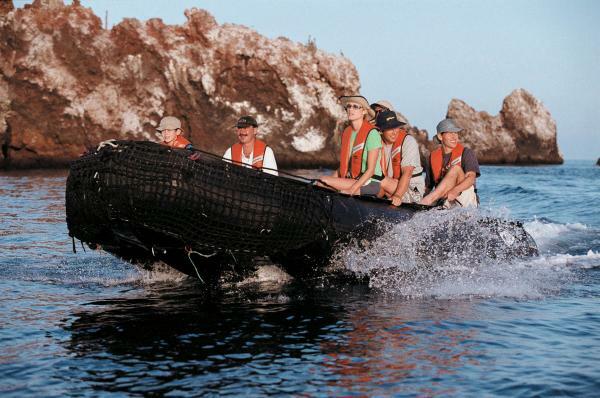 Includes all equipment and wetsuit. Please inquire for more information. Kids Club with activities like star-gazing and movie nights are offered for Family Oriented departures. Child-oriented guides who organize learning activities and provide children with a kids expedition journal are placed specifically for departures with children. Children Menus especially prepared for family departures. Breakfast, lunch, and dinner are served buffet style either in the interior dining room or in the al-fresco dining area. 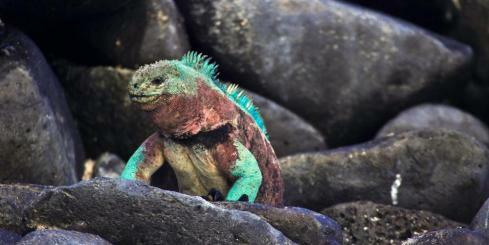 All meals are served in wholesome quantities and in a variety of menus with tropical exotic fruits always available. Special menus like vegetarian, lacto/ovo intolerant, etc. can be catered to upon request. 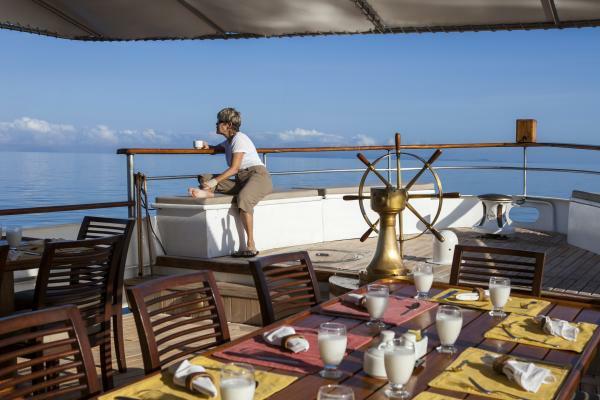 Special children's menus also available during Family Oriented cruises. 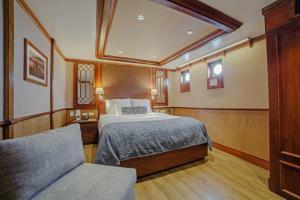 All staterooms have private bathrooms with hair dryers, amenities and ample space to store toiletries. 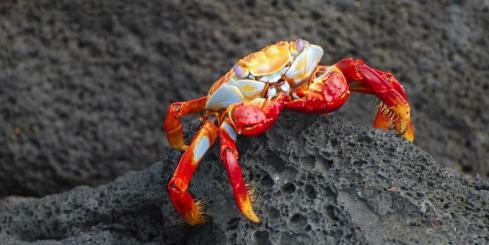 M/Y Grace abides under all international standards of Safety for a Galapagos cruise ship of its type. 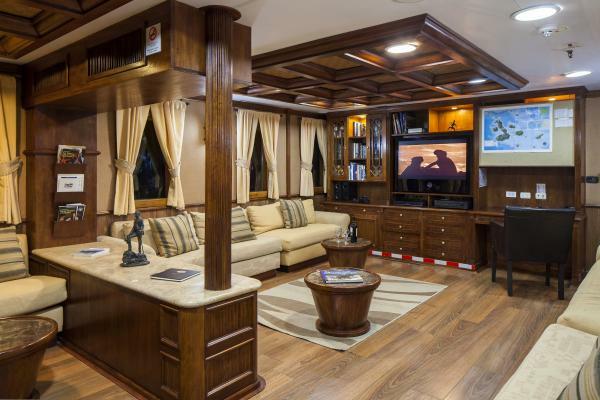 It is ISM certified and is equipped with an emergency alarm system, 2 emergency life rafts for 16 pax each, emergency life vests, fog horns, a PA system, smoke detectors, a sprinkler system and fire extinguishers. All emergency equipment is SOLAS certified. 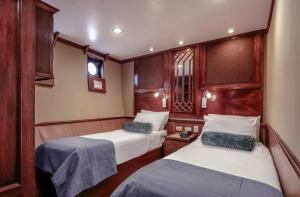 1 premium full beam stateroom on the Carolina Deck, with a twin bed and a queen bed, private bathroom, individual AC control, safe box, and plenty of storage space. 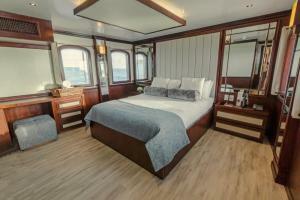 1 deluxe twin/queen stateroom on the Carolina Deck. It features a private bathroom, individual AC controls, safe box, and plenty of storage. 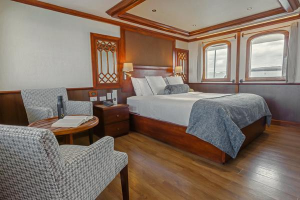 2 premium staterooms on the Carolina Deck, both with 1 queen bed(82.3in x 66.5in), private bathrooms, individual AC controls, safe boxes, and plenty of storage space. 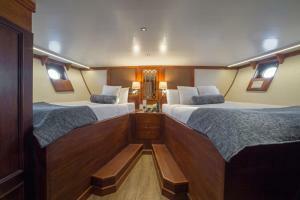 2 suites on the Albert Deck, both with 2 twin beds that can convert to 1 bed, private bathrooms, individual AC controls, safe boxes, and plenty of storage space. 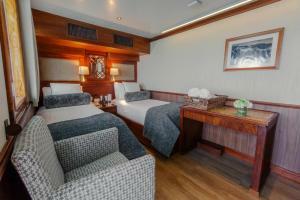 Ocean view Suite; located on the Albert Deck these cabins feature a Queen Bed (82.3in x 66.5in), private bath. The new Grace Kelly Suite features contemporary decor by award-winning designer Adriana Hoyos. It features 1 king size bed, private bathroom, individual AC control, safe box, and plenty of storage space.